Home Task Management How to create custom Project Templates in Orangescrum? 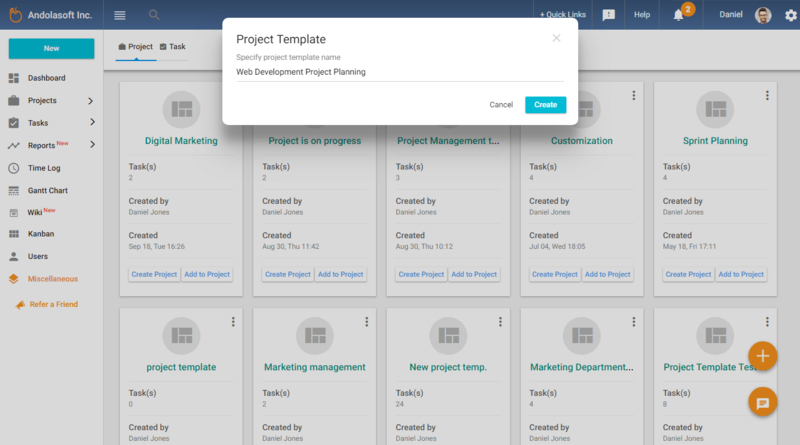 How to create custom Project Templates in Orangescrum? Define the Project Template’s title; it must be a clear name like we mentioned below in the image; it may be Web Development Plan Template or Marketing Campaign Project Template etc. and hit the button “Create”. 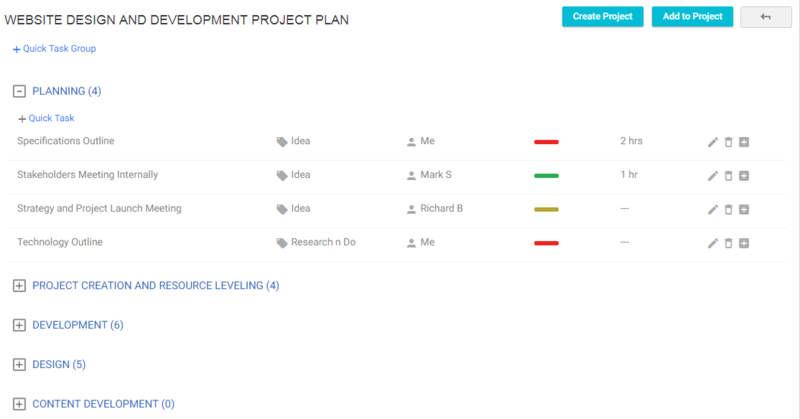 On the Project Template page, a task can be added under a Task Group or without a Task Group. Under a task, you can add a subtask and under a subtask, you can add another subtask. To Add Task Group, click on +Quick Task Group. Once Task Group title is defined, make sure you have enough information regarding the Task Group in the description. Define a tentatively estimated hour for the Task Group or can be ignored initially to standardize the template first. Create tasks with proper Description, Task Type, Task Priority, Attach Files so that anyone receiving this task for the first time will know exactly what to do. Go through all the tasks you created and define the Estimated Hour for each task. Assign the task to any of your team member if you already know whom from your team will work on that task. To add a subtask, click on + icon on the right side of the task name. As a task, you can define the subtask title, description, task type, priority, Assign To, Estimated Hour and Attach files. Similarly, you can add another subtask by clicking on the + icon of the subtask. Create as many numbers of Task Groups and Tasks as per your requirement. Note: At any moment, you can edit, delete or update the Project Template.